I was invited recently to present at a workshop convened by NYU, Abu-Dhabi Institute under the title of “Situating Sustainability: Urban Ecology and the Problem of Context”. The workshop brought together urban ecologists, architects, urban planners, anthropologists and authors who have studied, written about and had hands-on experience in shaping the urban-ecological landscape of many cities in the UAE, India, USA, Bahrain, Kuwait and China. “Much of the talk in this workshop has been focusing on situating sustainability in the physical sense within the cities and urban landscapes of the region. I will talk about situating sustainability in a different context – the context of where, along the spectrum of practice, sustainability is situated in the region from a social, cultural and educational perspective. We, at Baraka, work closely with social entrepreneurs who are addressing social and environmental issues and in doing so have experienced, first hand, some of the challenges facing those who are working on building an economically, socially and environmentally sustainable region. As we have heard, Abu-Dhabi, Dubai and other cities on the Western coast of the Gulf are often characterized as being desert cities. This is in line with the fact that much of sustainability, particularly in the urban-ecological context, over-privileges the land. Yet the majority of the cities in the region are coastal cities with close economic and cultural ties to the water. It made sense to us, when we started looking at environmental sustainability in the region, that we needed to focus on the ocean. I’d like to make the point here that we’ve been handling the terrestrial environment for more than ten thousand years. We have been gardening for ten thousand years. We can take a body of land and change it from its current state to something we prefer to live in and we can then landscape it, set it up as a functioning biological system that is pleasant to be around whether it’s gardens or agricultural fields. We know how to do that. We have been doing it for years and years and years. We don’t know how to do that in the ocean. When you start extensively changing coastlines and building new coastlines that extend kilometers out into the ocean in places where that land did not exist before, you are embarking on a process of changing the ocean environment and we don’t really know how to do that or truly understand the consequences of doing that. 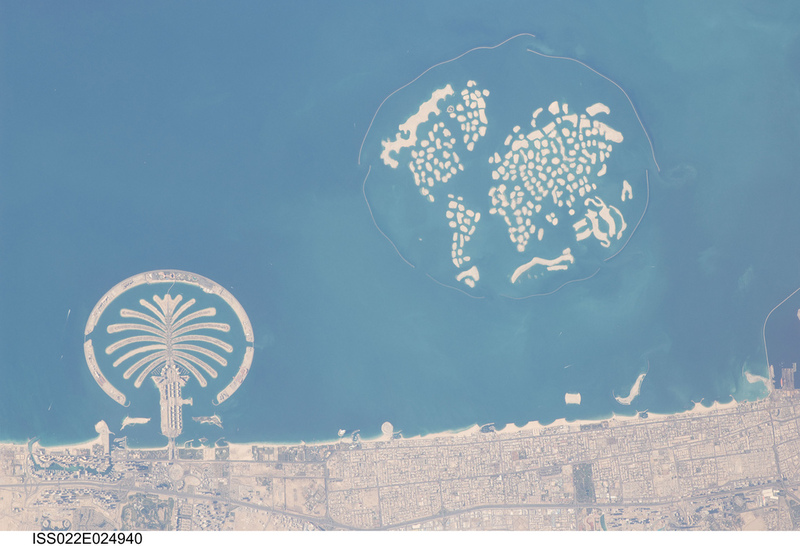 It was in this context that we started working on creating a video documentary about the impact of the artificial islands that have been built along the coastline of Dubai. One of the problems that the researchers we were working with faced as they started the project was a general lack of information. This is a part of the world in which marine science has not been a dominant activity. It is a part of the world in which the marine science that has been done has usually been done by people from overseas who’ve taken a lot of the information back home with them. Basically, the researchers had to recognize that in many ways they were starting with almost zero baseline data. So, they tried to look to non-academic sources of information. They were happy to use anecdotal evidence gathered from the local communities to use as a baseline for their research into the history of the local marine ecology, with regard to fish populations, algal blooms and other data. This avenue did not give them much data to work with either. While there was an older tradition of pearl culture and fishing, that has largely vanished, and with it much of the culture related to these traditions. There have been efforts to preserve these in books and on film, but they have been largely reduced to the status of historical artifact rather than living culture. 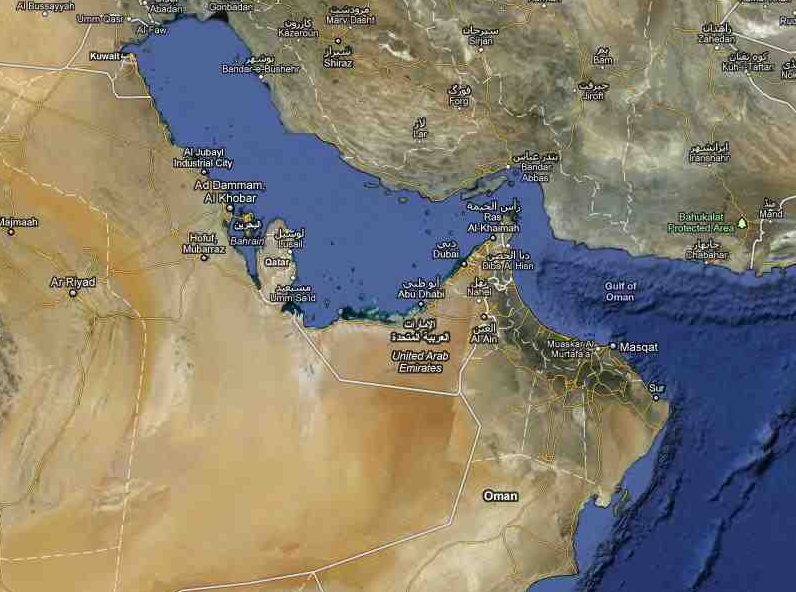 This is where I raise the question of where is sustainability situated in the context of the culture of Gulf cities? The dhows that are being built today are used for recreation rather than plying the trade of their owners. Yet, the culture of the dhow crews and the pearl divers is still being presented as the primary cultural connection of these cities to the ocean even though the dhows have mostly been replaced by yachts, speedboats and jet-skis. 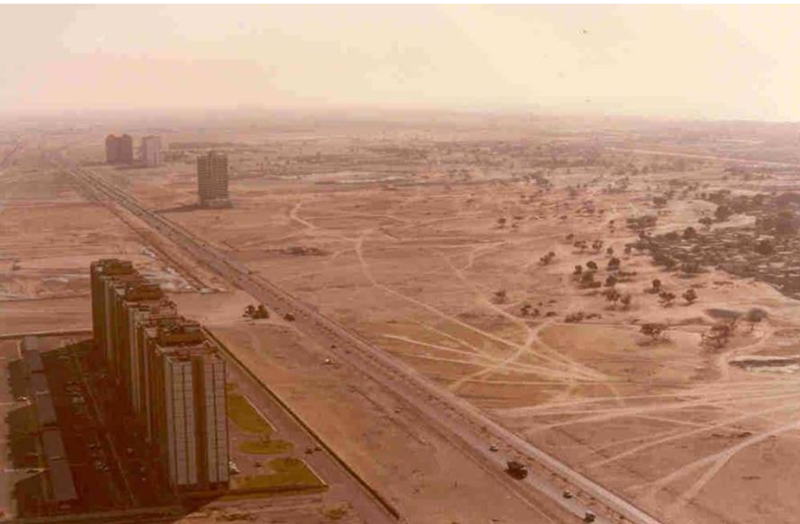 The influx of people into the region brought with it not just a need to change the urban landscape of the region’s cities to allow for this influx and expansion, but also a cultural change brought on by the fact that these new residents had no connection with the local ecology. This has reflected back on society in many ways. When it comes to nature, very few residents, or even the nationals, know much about the local sea-dwelling species beyond the few that end up on their dinner plates and they have become totally disconnected from most of the local land-based species. There’s more to sustainability than just preserving species, we need to also preserve our relationships with them. This is where I pose the question of where is sustainability situated in the social context of the region? 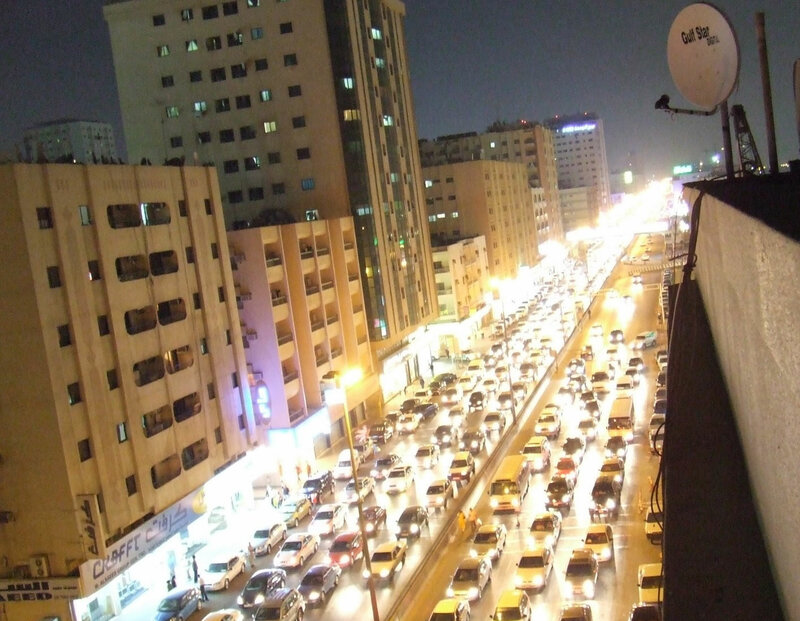 When it comes to society, many people in Gulf cities feel disengaged from many of the day-to-day issues that matter to most urbanites in other parts of the world – from the use of public space, zoning, waste collection and transportation. This is caused by the rapid urban changes, the transient nature of many of the residents’ connection with place and many other factors. Most of the people who are resident here know next to nothing about what happens below the water. In fact a lot of the marketing of the coastal development projects suggest that it is the opportunity to look out over the surface of the water which is the attractive thing that they are providing by these developments.It’s time to break through the surface, both literally and figuratively and make people more aware of the fascinating things happening under the water, in an effort to encourage them to reconnect their coastal-urban living with the relevant urban ecological consequence of their lifestyles. As a scuba diver and underwater filmmaker, I can tell you that there is a lot of life that goes on below the surface of the sea just off our coastlines. While on land, if you live in an urban environment such as that in Dubai or Abu-Dhabi, you need to drive some distance outside the city’s boundaries to come across any wildlife apart from birds, rodents and feral cats. Yet diving just a few minutes out from the beaches of these cities will reveal some of the richness of what is there in terms of the wildlife. On a typical beach dive in Dubai we can see sting rays, groupers, butterfly fish and tens of other fish species; invertebrates such as sea urchins and sea cucumbers. We see more wildlife, in its natural habitat, per square meter than anywhere else this close to the city. This work also tied in with another project that we had been working on, a project called Tawasul which is Arabic for “reach out”. Tawasul was founded by Ernst Vanderpoll, a PADI Course Director who had been diving and instructing in Dubai since the late nineties. Tawasul aims to engage young people and students in grass roots conservation and restoration ecology. It does this through a place-based education program that looks to address what Richard Louv termed a “nature deficit disorder” in his book “Last Child in the Woods”. It makes more sense when in an urban landscapes such as those on the coast of the Gulf to think “Blue” rather than “Green” when thinking of nature so I guess the local version of Louv’s book should be titled “The Last Child in the Corals”. We educate students about the degradation that is being caused at their doorstep in the marine environment by overconsumption, bad waste management, coastal construction and pollution. 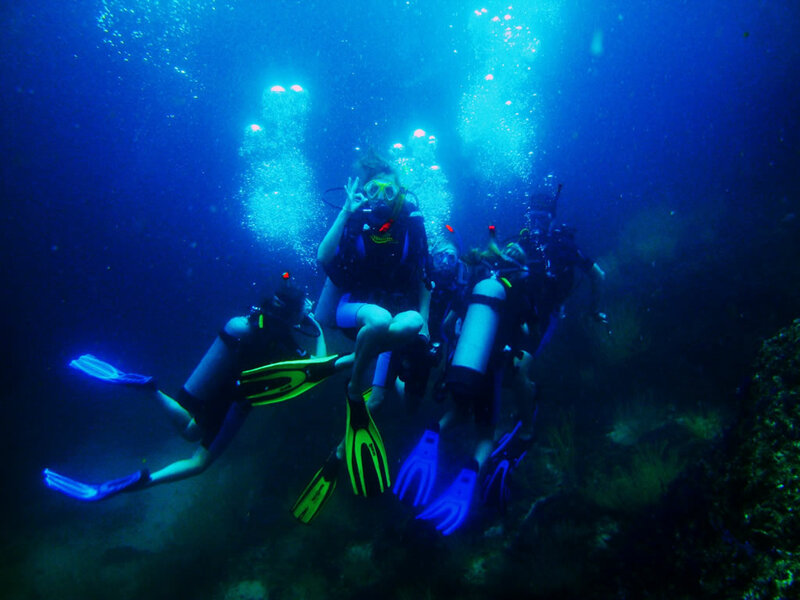 We teach them to dive so that they can see these problems first hand, which creates a much deeper recognition of these issues and a stronger desire to address them than any amount of lecturing would ever achieve. We also teach them how to monitor the marine environment by doing fish and reef surveys thereby taking them from awareness to taking practical steps towards sustainable action. They learn that plankton has been responsible for producing most of the oxygen on our planet and that practices such as shark-finning contribute to global climate change by killing off the ocean’s apex predator that, for millennia, have kept the population of plankton-eating species in check. They learn that killing sharks is not just an issue of biological conservation of a species of fish, but a matter effecting the ecological balance of the planet’s climate. This is a picture of a whale shark that we saw just after coming out of the second dive of the day during one of the field trips to the east coast. The kids had just removed their diving gear, so they jumped straight back into the water to swim with the whale shark (that’s one of the Tawasul students in the top-left corner of the picture). There is no amount of classroom tuition that can create the kind of attachment to nature and to conservation and restoration issues that an encounter with a magnificent creature such as this can. The experience transcended being educational, it was a spiritual experience for most of them. 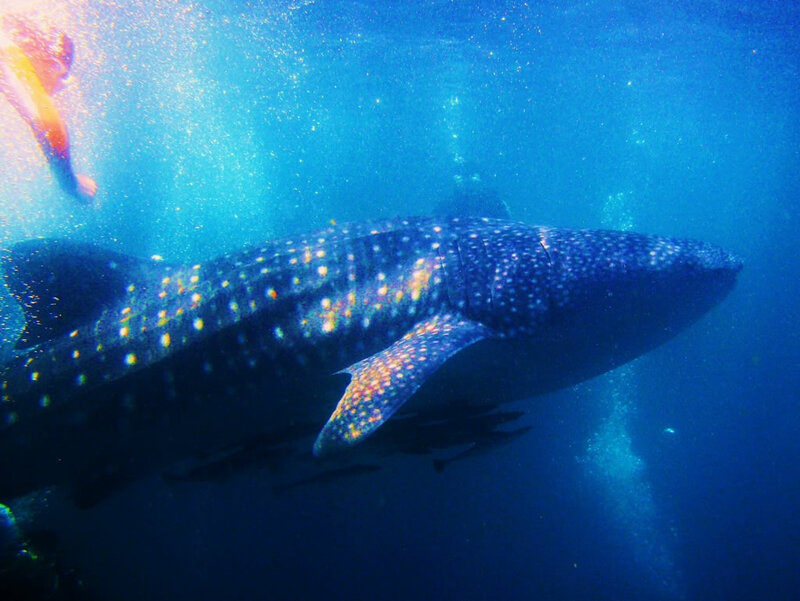 One of the children exclaimed that the spots on the whale shark’s skin looked like the fingerprints of God. Many of the children on that particular trip ended up blogging about that experience and led some of them to become some of the most ardent advocates of conservation and sustainability in their schools and neighborhoods. They also became advocates in their virtual communities. As part of the implementation of the program, we had set up an online social network to allow students to connect online in-between learning sessions and field trips. It is a platform for them to share their experiences and best practice. This led on to Tawasul starting a young environmental journalist program where the environmental correspondents of the local newspapers such as The National teach and mentor these budding journalists. So, where is sustainability situated in the educational context of the region? There are some efforts – private sector ones such as Tawasul as well as public sector ones led by education authorities and ministries. But there is still much to be done. Thank you for this really nice post. I am actually wirting to you because we would like to use the old Dubai image for a presntation but we do not know about its copyright. Can you pls tell us where can we buy that photo or is it royalty free? Dear Lurnid, what a very very good article, I enjoyed reading it. Also, where did you get the picture of the pearl divers, I am curious as i want to use it for our company profile. thank you very much. Hi Jason, thanks for the feedback. I’m glad you enjoyed the article. As for the picture, it was one that we had in our image library at the time I wrote the article. I don’t know where it originated.